While early menageries were anything but the centers of conservation that many zoos are today, a concern with wildlife preservation has been an integral component of the modern, professionally run zoo since the nineteenth century. From captive breeding initiatives to rewilding programs, zoos and aquariums have long been at the cutting edge of research and conservation science, sites of impressive new genetic and reproductive techniques. Today, their efforts reach even further beyond recreation, with educational programs, community-based conservation initiatives, and international, collaborative programs designed to combat species extinction and protect habitats at a range of scales. Addressing related topics as diverse as zoo animal welfare, species reintroductions, amphibian extinctions, and whether zoos can truly be “wild,” this book explores the whole range of research and conservation practices that spring from zoos and aquariums while emphasizing the historical, scientific, and ethical traditions that shape these efforts. 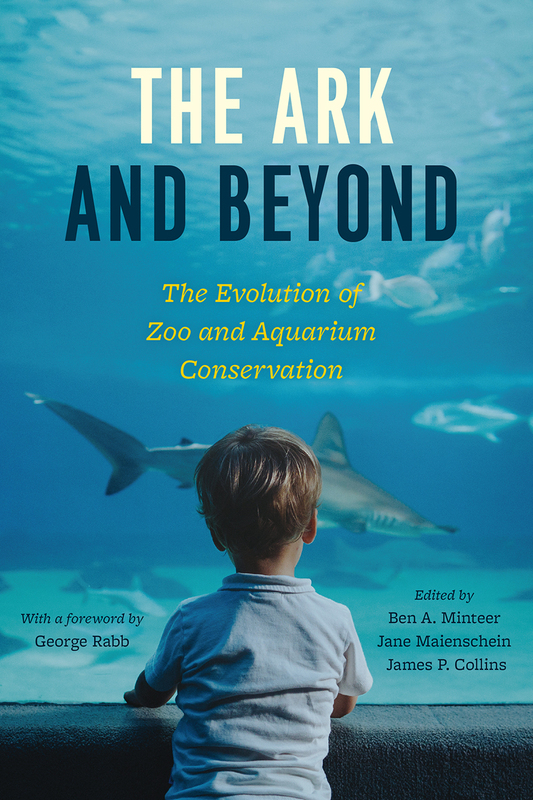 Also featuring an inspiring foreword by the late George Rabb, president emeritus of the Chicago Zoological Society / Brookfield Zoo, The Ark and Beyond illuminates these institutions’ growing significance to the preservation of global biodiversity in this century. "To familiarize yourself with the efforts of the best of these animal havens is to understand that they work with sincerity and some urgency to try to understand and save endangered species, while also navigating public expectations and budgetary pressures. In other words, they operate in 'powerful ethical rapids,' in the words of the editor of The Ark and Beyond: The Evolution of Zoo and Aquarium Conservation, an eye-opening new book from the University of Chicago Press." Elizabeth Kolbert, author of the Pulitzer Prize–winning "The Sixth Extinction: An Unnatural History"
"Issues such as zoo animal protection and species reintroduction, but also the question of whether zoos really can be 'wild,' are illuminated in this book in terms of the full range of research and conservation practices of zoos and aquariums." "A remarkably thorough account of zoo and aquarium conservation. . . . Highly balanced. . . . Anyone who has visited a zoo or aquarium, and wondered whether its educational and conservation benefits outweigh its costs in terms of potentially diminished animal well-being, will find this book captivating."